If you have used Excel for a while, then you have probably acclimated yourself to the visual appearance of the program. But the colors of the application might be wearing on your, leaving you looking for something different to spice up your daily activity in your spreadsheets. One simple change that you can apply is a new color scheme. 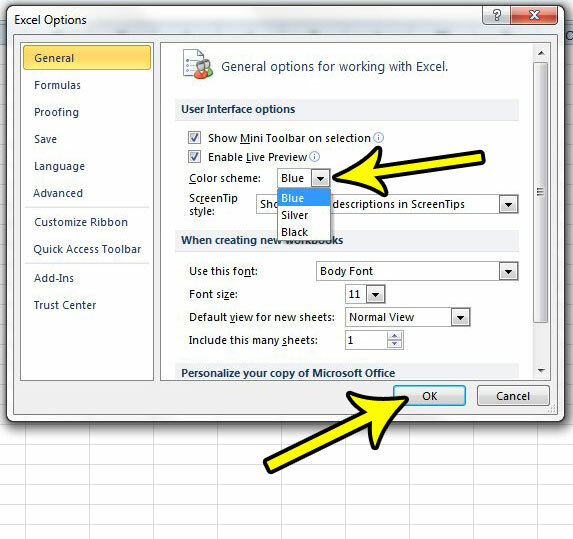 Excel 2010 comes with a few default color scheme options, and you can select from them at any time to change the way Excel looks on your computer. Our guide below will show you where to find this setting so that you can make the adjustment on your computer. 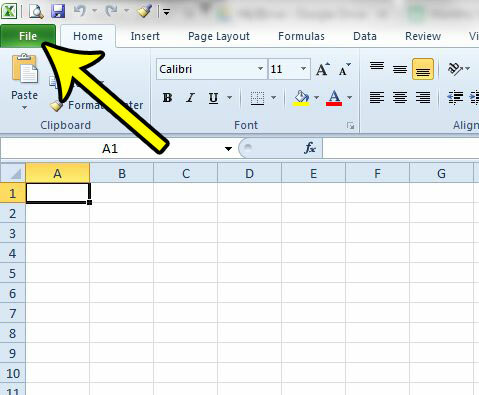 The steps in this article are going to show you where to find the setting in Excel 2010 that controls the colors used in the application. Step 3: Click the Options button in the left column. Step 4: Click the Color Scheme dropdown menu, then select your preferred color scheme. Click the OK button at the bottom of the window to apply the change. The color should change immediately. If you find that you don’t like the new color scheme, you can always follow these steps again and choose from one of the other options. Do you have a spreadsheet with a lot of data, and the number of columns is too high to comfortably fit everything on one sheet of paper? 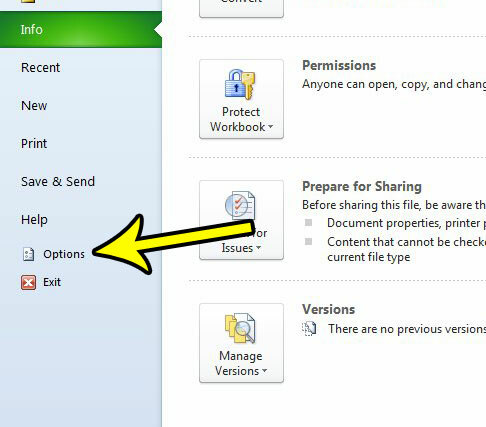 Learn how to switch to legal paper in Excel 2010 and see if that adjustment is beneficial for printing your document.